What keeps you up at night? Do you have the confidence that your retirement income will sustain you for the rest of your life? Do you wonder about your children or grandchildren? Will they be able to fulfill their American Dream as successfully as you have? 5 Rivers Group at Morgan Stanley is a multi-generational team, established by five Financial Advisors who share one characteristic ~ a passion for helping clients achieve financial security; the kind that comes from knowing you have a comprehensive financial plan tailored specifically to you and your family. We take the time to understand who you are as a person and an investor as well as the financial aspirations you hold for yourself and your family. The name of our team reflects our affection for where we were born, raised and continue to live. 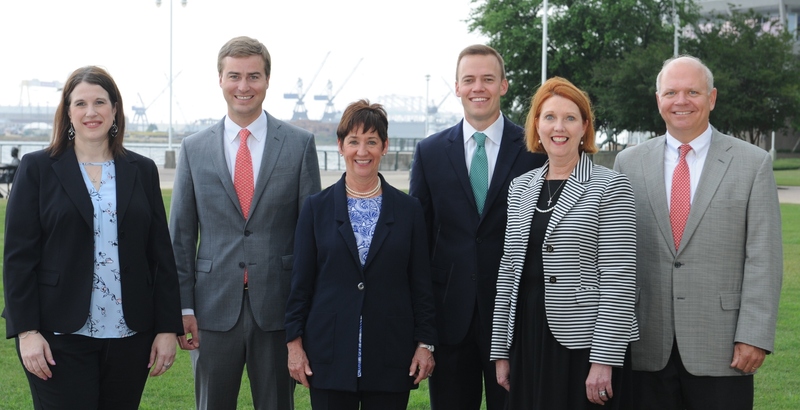 It also represents a confluence of multi-generational professionals, each with a different skillset, different perspective, and different personality, creating something greater than the sum of its parts, not dissimilar to the five rivers of our region that each add fresh water to the vastness of the Mobile Bay. Our team works collectively to help bring you one step closer to financial security. We set you on track to help you retire with confidence. We strive to calm the matters that keep you up at night. We work hard to bring you the confidence that comes with knowing your next generation is in good hands, and on their way towards their own American Dream. Our team helps you build a plan you can follow, helping you make informed, confident decisions in today's complex financial markets. We take a boutique-style approach to our service platform which is customized to meet your specific needs and preferences. All of us at the 5 Rivers Group take great pride in the service we provide our clients, and we are as dedicated to our individualized service model as we are to our wealth management and investment approach. Discovery: Our process begins with in depth conversations. We learn all about you, your dreams, values, risk tolerance and other factors that will influence the plan we develop for you. Plan Formulation: We use your input to create a holistic plan that is customized with recommendation specific to you and go beyond just your investments. We encompass both sides of your personal balance sheet and every aspect of your financial life. Every new client gets a new financial plan, and a custom portfolio is created from there. Plan Implementation: We create a custom strategy for you that is process driven, not product driven. Morgan Stanley's vast resources enable us to access professionals in disciplines as varied as private banking, insurance, and estate planning to address any needs your plan uncovers. Monitoring and Evaluation: As you would expect, we believe that ongoing communication and strategy meetings are a vital component of our business. As you move through the different stages of your financial life, your financial needs change but we remain a constant, providing viable solutions that fit you and your goals. We diligently monitor your plan and portfolio to help make certain your assets are positioned to meet your changing circumstances, as well as fluctuating market conditions. With clarity and transparency comes confidence. Leigh's focus is on helping new and existing clients with all phases of heir financial lives. She uses an organized, systematic approach to understanding your needs and goals, and customizes a unique portfolio. Every plan is designed to put you on the path to reach the goals you envisioned and live out your dream. 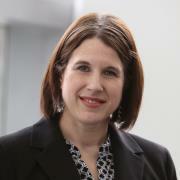 Leigh began her career with Morgan Stanley in 1985. 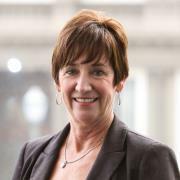 She holds a Financial Planning Specialist designation along with a Retirement Certification. A native of Mobile, Leigh serves on the Board of Big Brothers Big Sisters of South Alabama and is a Big to a local elementary school child. She is an active member of numerous charitable organizations including the American Heart Association, United Way of Southwest Alabama Women's Initiative, Women's Business Alliance, Impact 100 of Baldwin County and 3 Parrothead Clubs. When out of the office, she enjoys spending time with her husband, Keith, their daughter and son in law, and the grandchildren. She also enjoys walking, reading, and listening to Trop Rock Music. She is a member of a local ladies book club. 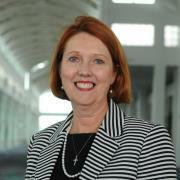 Leigh enjoys being outdoors on the dock at the lake in Spanish Fort or at their second home in Orlando. Paul enjoys working with new and existing clients to create long-term, personalizes financial plans in addition to overseeing the investment selection and portfolio design. He also works with businesses to create, implement, and maintain retirement plans. 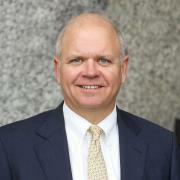 Paul began his career in the Financial Services Industry in 1992 and joined Morgan Stanley in 2009. He holds a Chartered Retirement Plan Specialist or CRPS® designation through The College for Financial Planning®. He graduated from The University of Alabama in 1991 with a degree in Commerce and Business Administration with a major in Finance. A native of Mobile, he volunteers his time working with the American Heart Association, Gulf Coast Multiple Sclerosis Avengers and is active in various social organizations in his community. 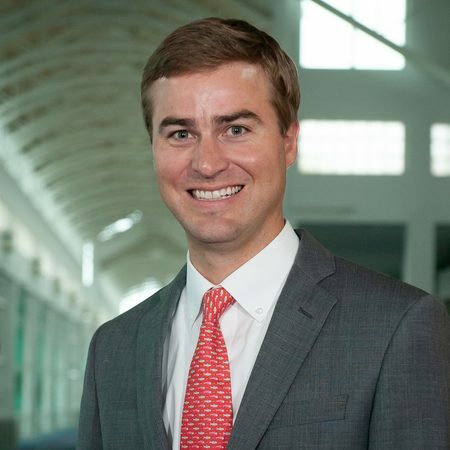 Paul has previously served as chairman of the parish council and president of the PTA at St. Ignatius, on the board of directors of The Country Club of Mobile and Conservation Association. When out of the office, he enjoys spending time with his wife, Kelsey, and their three sons, William, Lawler, and Matt. He also enjoys tennis, biking, running, and fishing. Service is our business is a celebrated motto – with deep family roots – that has inspired Hunt his entire career. He’s driven. He loves business. And he loves building relationships. He and his team, 5 Rivers Group at Morgan Stanley, work collectively to bring clients one step closer to financial security. Hunt may be the team’s bridge to the younger generations, but he’s also a true team leader; an essential part of the whole. Hunt’s passion for his client’s success is reflected in every aspect of his work; building new and strengthening existing client relationships while also running financial plans, analyzing portfolios, assessing tax efficiencies, marketing, researching, and building team camaraderie. A native of Mobile, Hunt is a graduate of the University of South Alabama where he earned his Bachelor’s degree in Accounting. In addition to excelling in the classroom at South Alabama, Hunt excelled as a baseball player as well - earning a scholarship and other recognitions for his talent and leadership. Hunt serves on the Senior Bowl committee and is a member of the National Alumni Association at the University of South Alabama. He is also active with Big Brothers Big Sisters of South Alabama, Autism2Ability and the Fuse Project. When out of the office, Hunt enjoys spending time with his wife, Mary Angela. He also enjoys playing golf, basketball, and coaching baseball. Michael enjoys working with new and existing clients to develop a personalized portfolio to help them achieve all of their financial goals. He helps them understand where they are and will make tailored recommendations to get them on track to where they want to be. He takes pride in the fact that he is in a position to truly make an impact on the lives of others by helping them realize their dreams. A native Mobilian, Michael graduated from the University of Alabama in 2009 and received his Master of Business Administration in 2011. 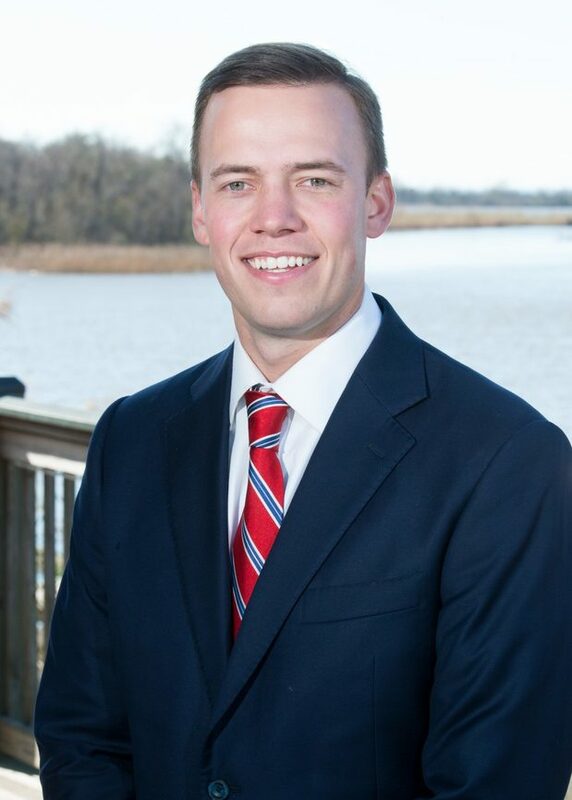 He spent the first 7 years of his career working in financial services for a regional bank before moving back to Mobile to continue his career as a financial advisor in 2017. Michael serves on the Senior Bowl committee and is involved with the Leukemia and Lymphoma Society (LLS) in an effort to provide resources to help combat cancer. When out of the office, Michael enjoys spending time with his wife, Jane and daughter Alden. He also enjoys fishing and playing golf. 2Morgan Stanley Smith Barney LLC is a registered Broker/Dealer, Member SIPC, and not a bank. Where appropriate, Morgan Stanley Smith Barney LLC has entered into arrangements with banks and other third parties to assist in offering certain banking related products and services. 6Annuities are offered in conjunction with Morgan Stanley Smith Barney LLC’s licensed insurance agency affiliates.